John Wilder Tukey ForMemRS (/ˈtuːki/; June 16, 1915 – July 26, 2000) was an American mathematician best known for development of the FFT algorithm and box plot. The Tukey range test, the Tukey lambda distribution, the Tukey test of additivity, and the Teichmüller–Tukey lemma all bear his name. During World War II, Tukey worked at the Fire Control Research Office and collaborated with Samuel Wilks and William Cochran. After the war, he returned to Princeton, dividing his time between the university and AT&T Bell Laboratories. He became a full professor at 35 and founding chairman of the Princeton statistics department in 1965. He was awarded the National Medal of Science by President Nixon in 1973. He was awarded the IEEE Medal of Honor in 1982 "For his contributions to the spectral analysis of random processes and the fast Fourier transform (FFT) algorithm." Early in his career Tukey worked on developing statistical methods for computers at Bell Labs where he invented the term "bit". His statistical interests were many and varied. He is particularly remembered for his development with James Cooley of the Cooley–Tukey FFT algorithm. In 1970, he contributed significantly to what is today known as the jackknife estimation—also termed Quenouille-Tukey jackknife. He introduced the box plot in his 1977 book, "Exploratory Data Analysis". In 2000, Fred Shapiro, a librarian at the Yale Law School, published a letter revealing that Tukey's 1958 paper "The Teaching of Concrete Mathematics" contained the earliest known usage of the term "software" found in a search of JSTOR's electronic archives, predating the OED's citation by two years. This led many to credit Tukey with coining the term, particularly in obituaries published that same year, although Tukey never claimed credit for any such coinage. In 1995, Paul Niquette claimed he had originally coined the term in October 1953, although he could not find any documents supporting his claim. The earliest known publication of the term "software" in an engineering context was in August 1953 by Richard R. Carhart, in a Rand Corporation Research Memorandum. Andrews, David F; Peter J Bickel; Frank R Hampel; Peter J Huber; W H Rogers; John W Tukey (1972). Robust estimates of location: survey and advances. Princeton University Press. ISBN 0-691-08113-1. OCLC 369963. Basford, Kaye E; John W Tukey (1998). Graphical analysis of multiresponse data. Chapman & Hall/CRC. ISBN 0-8493-0384-2. OCLC 154674707. Blackman, R B; John W Tukey (1959). The measurement of power spectra from the point of view of communications engineering. Dover Publications. ISBN 0-486-60507-8. Cochran, William G; Frederick Mosteller; John W Tukey (1954). Statistical problems of the Kinsey report on sexual behavior in the human male. Journal of the American Statistical Association. Morgenthaler, Stephan & John W Tukey (eds) (1991). Configural polysampling: a route to practical robustness. Wiley. ISBN 0-471-52372-0. OCLC 22381036. Mosteller, Frederick; John W Tukey (1977). Data analysis and regression : a second course in statistics. Addison-Wesley. ISBN 0-201-04854-X. OCLC 3235470. Tukey, John W; Ian C Ross; Verna Bertrand (1973). Index to statistics and probability. R & D Press. ISBN 0-88274-001-6. OCLC 745715. ↑ McCullagh, P. (2003). "John Wilder Tukey. 16 June 1915 - 26 July 2000". Biographical Memoirs of Fellows of the Royal Society. 49: 537. doi:10.1098/rsbm.2003.0032. ↑ Bower, Keith. "Pronunciation of John Tukey". Omnilexica (video). Retrieved 2013-09-06. ↑ Sande, Gordon (July 2001). "Obituary: John Wilder Tukey". Physics Today. 54 (7): 80–81. doi:10.1063/1.1397408. ↑ "John Tukey". IEEE Global History Network. IEEE. Retrieved 18 July 2011. 1 2 3 Leonhardt, David (28 July 2000). 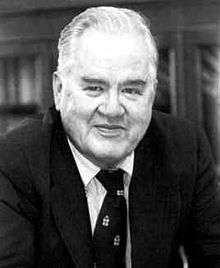 "John Tukey, 85, Statistician; Coined the Word 'Software'". New York Times. Retrieved 24 September 2012. ↑ Claude Shannon (1948). "Bell System Technical Journal". Bell System Technical Journal. ↑ J. H. Friedman; J. W. Turkey (September 1974). "A Projection Pursuit Algorithm for Exploratory Data Analysis" (PDF). IEEE Transactions on Computers. C–23 (9): 881–890. doi:10.1109/T-C.1974.224051. ISSN 0018-9340. ↑ J.W. Tukey, "The Teaching of Concrete Mathematics," Amer. Mathematical Monthly, vol. 65, pp. 1–9, 1958: "Today the "software" comprising the carefully planned interpretive routines, compilers, and other aspects of automative programming are at least as important to the modern electronic calculator as its "hardware" of tubes, transistors, wires, tapes, and the like." ↑ Shapiro, Fred (2000). "Origin of the Term Software: Evidence from the JSTOR Electronic Journal Archive" (PDF). IEEE Annals of the History of Computing. 22 (2): 69–71. doi:10.1109/mahc.2000.887997. Archived from the original (PDF) on June 5, 2003. Retrieved 25 June 2013. ↑ Carhart, Richard (1953). A survey of the current status of the electronic reliability problem (PDF). Santa Monica, CA: Rand Corporation. p. 69. It will be recalled from Sec. 1.6 that the term personnel was defined to include people who come into direct contact with the hardware, from production to field use, i.e., people who assemble, inspect, pack, ship, handle, install, operate and maintain electronic equipment. In any of these phases personnel failures may result in unoperational gear. As with the hardware factors, there is almost no quantitative data concerning these software or human factors in reliability: How many faults are caused by personnel, why they occur, and what can be done to remove the errors.